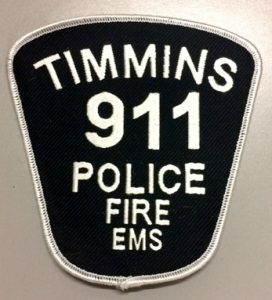 Below are shoulder flashes available for collectors. Please specify which patch you would like. 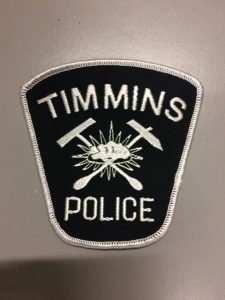 Timmins Police Service shoulder flashes are available for sale to collectors. 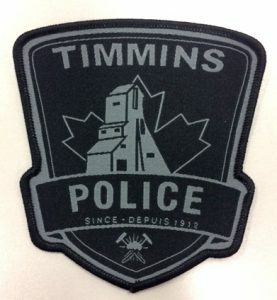 When requesting a Timmins Police Service shoulder patch please send a written request, along with a money order for $6.00 Canadian funds (inclusive of GST), payable to Timmins Police Service, to cover the cost of the patch and postage. Be sure to include your Return Address. 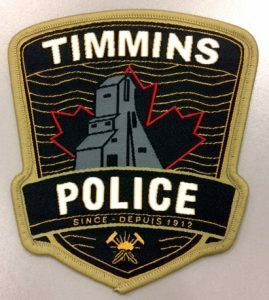 Thank you for your interest in our Police Service and good luck with your collection! 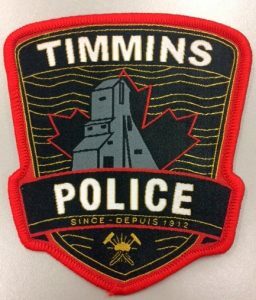 Notice for Shoulder Flash Collectors: Please be informed this flash is for collection only and is not to be sewn on any clothing for personal wear.